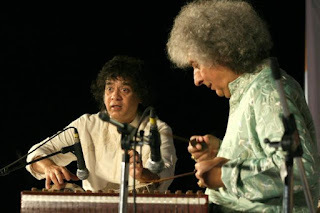 Amitabh Bachchan may have attended various concerts and musical performances but the one closest to the megastar’s heart was when Santoor maestro Shiv Kumar Sharma and tabla exponent Ustad Zakir Hussain played together, exclusively for him and his family. “It was informal, it was family, it was incredible. I used to possess one of those cassette players and I did make a recording of the moment. I am now not sure where in my mass of stuff that has undergone so many location changes, that divine tape has disappeared. I must find it. It would be a sacrilege if it is lost. It was a masterpiece ‘jugalbandi’ performance,” he added.